Christopher M. Condron/AXA Financial, Inc.
Christopher “Kip” Condron, president and chief executive officer of AXA Financial, Inc., is also a member of the AXA Group Management Board. Condron joined AXA immediately following his role as president and COO of The Mellon Financial Corporation and chairman and CEO of the Dreyfus Corporation. Condron began his career at C.S. 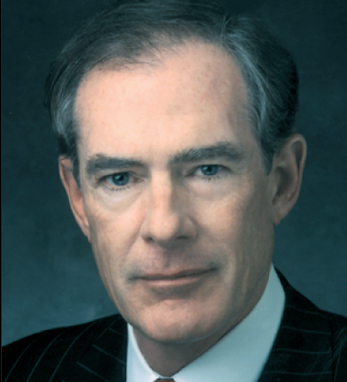 McKee and Co. before forming his own financial planning firm, Condron Associates. When the firm was acquired by AYCO Corporation, he became co-president. In 1989, Condron joined The Boston Company, now Mellon Private Asset Management, where he was named executive vice president. In 1995, he took over the responsibility for the Dreyfus Corporation. Condron received his bachelor’s degree in business from the University of Scranton where he is a former trustee and heads the President’s Business Council. He is a member of the Investment Company Institute’s Board of Governors and its Executive Committee, a board member of the Financial Services Roundtable, and a director and treasurer of The American Ireland Fund. Married with three children, Condron is a third-generation Irish American with roots in Donegal and Cork.